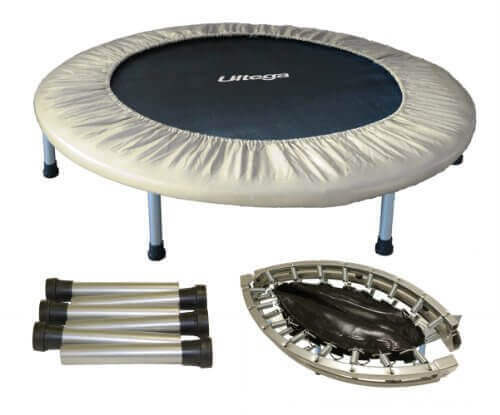 Ultega Jumper trampoline is a soft 32-spring exercise mini trampoline made for jumping and balancing exercises. 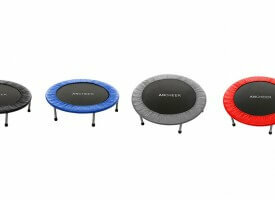 This is a very sturdy and durable trampoline with nice soft mat and fairly large jumping area which enables numerous exercises and complete body workout. 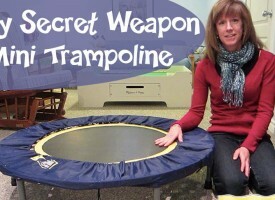 The total diameter of this mini trampoline is approximately 38 inches and comes equipped with 32 springs. 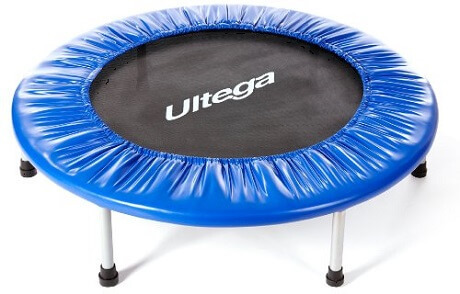 This Ultega mini trampoline stands on six legs with rubber feet for additional protection. Assembly of Ultega Jumper is fast and easy. 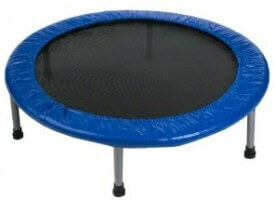 Ultega Jumper 38 inch mini trampoline user manual can be found here. 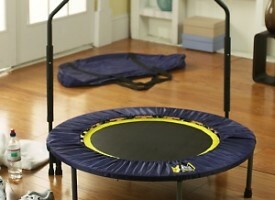 Very good mini trampoline with sturdy frame and good quality mat. Easy to assemble. 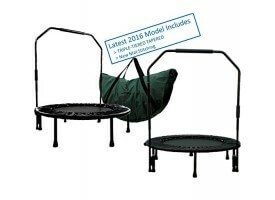 Perfect for apartments!